Gary Mervis, founder of Cancer Mission 2020 and Camp Good Days and Special Times attended the Moonshot Cancer Summit, on June 29, 2016, hosted at the University of Rochester's Wilmot Cancer Institute. 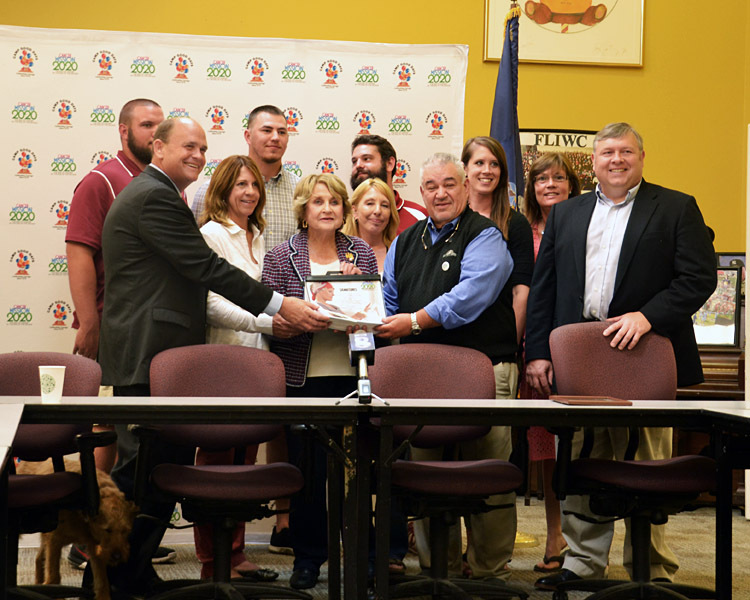 Gary Mervis, founder of Cancer Mission 2020 and Camp Good Days and Special Times, presented Representatives Tom Reed and Louise Slaughter with a petition of over 25,000 signatures. The Cancer Services Program of Monroe County, part of the University of Rochester Medical Center's Center for Community Health, is on a mission in March to make the community healthier. Two Rochester-area representatives have reintroduced federal legislation that would have cancer researchers making timely reports on results — good or bad — of clinical trials.